We recommend manga every week! Kana is a busy high schooler, but she has slightly different problems than her friends. While they worry about juggling clubs, schoolwork, and blossoming love, Kana is busy with a different kind of work: secretly managing an after-hours hotel by herself! Since her parents passed away in an accident midway through her freshman year, she has been forced to take over their more-than-slightly unsettling family business, and with staff dwindling, it's been taking up more and more of her time. Naturally, her lack of free time and sleep has drastically impacted her studies, and the last thing she wants is to be held back a year. Thankfully, her math teacher, Mr. Saitou, has been kind enough to give her extra lessons. Not the worst punishment in the world, as Mr. Saitou is the most popular teacher at Kana's school! 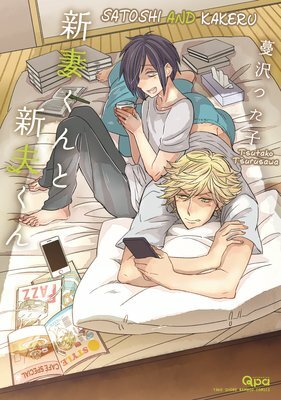 Lucky Kana gets to be next to her crush for a few hours every day, but of course, manga characters can't be truly happy for more than a few pages at most. One late night working reception at the hotel, she gets a call to fix the A/C in the most popular and expensive room, and I bet you can guess just who she finds there... none other than Mr. Saitou! Having a part-time job is already against her school's rules, and at a love hotel too! Why is such a nice and friendly guy like Mr. Saitou even there in the first place? What will happen between Kana and Mr. Saitou (besides the situation in the title)? 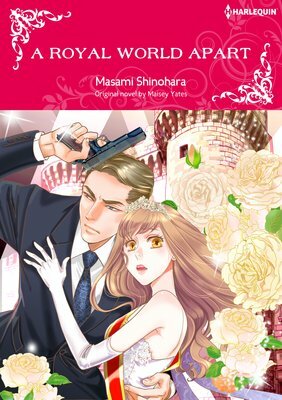 This long-running, beautiful full-color series full of all kinds of twists and turns is a big hit, and you don't have to be a love hotel manager yourself to see why! Kagura Takeshiba, a.k.a. Kabu, began working at the Matsuya hot spring inn after he was expelled from school for picking a fight. The Matsuyas warmly welcome him to the team, but Kabu won't have any of it. He spits in their face, so Kozue, the inn's poster daughter, takes off her slipper, whacks him on the head with it, and drags him off to start working. Kabu's pretty fearless, but he might have just met his equal! They clean a room after the guest checks out and Kabu discovers a pair of glasses left behind. Kozue takes Kabu with her, jumps on the inn's scooter, and chases the guests down to return their glasses. On the way back, she stops to shop for groceries to take back to the inn and Kabu runs into the gang of delinquents that got him expelled. They're about to pick a fight when Kozue approaches them, thwacks Kabu on the back of the head (again) with a red snapper she just bought, and drags him back to their scooter. Later, when they're cleaning up the outdoor hot spring bath, Kabu asks Kozue why she butted in and if she was afraid of being attacked. "Won't you save me if that happens?" she teasingly replies. Pissed off, Kabu turns the hose on her and sprays her with it! He thinks it'll put her in her place since her kimono is so thin he can see through it, but she proudly takes off her kimono and shows off her polka-dot underwear! "Isn't it cute? It's my favorite underwear!" she taunts. Later that night, she takes another round of drinks to a room where a group of loud and drunk businessmen are having dinner. They insist that she pour them their drinks and try to cop a feel. She tries to push them off, but can't! 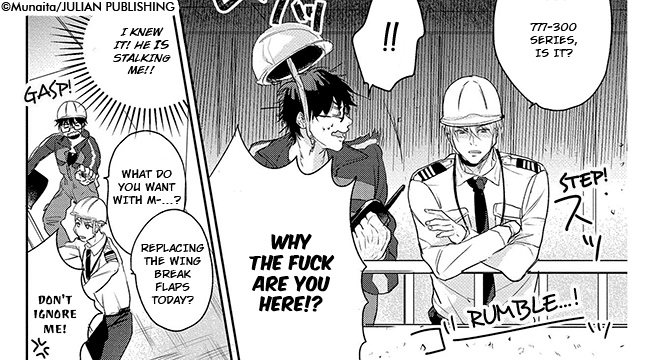 Just then, Kabu kicks the door open and threatens to call the police on them if they don't stop. As a thank you for resucing her, Kozue pours him a glass of the alcohol she stole from the guests in all the commotion. Some time later, Kabu earns his first paycheck and is readmitted to school. Kozue asks him to take her out for fast food, karaoke, and games to celebrate. At the arcade, she steps out to go to the bathroom and when she returns, Kabu's gone! She realizes the gang they ran into on his first day at the inn have probably taken him away to get their revenge on him! She chases after them and sees Kabu lying on the ground, beaten up pretty badly. She keeps some distance and eavesdrops on their conversation. They reveal that they're planning to burn down the inn if Kabu doesn't steal their money and give it to them! Will Kabu steal their money? 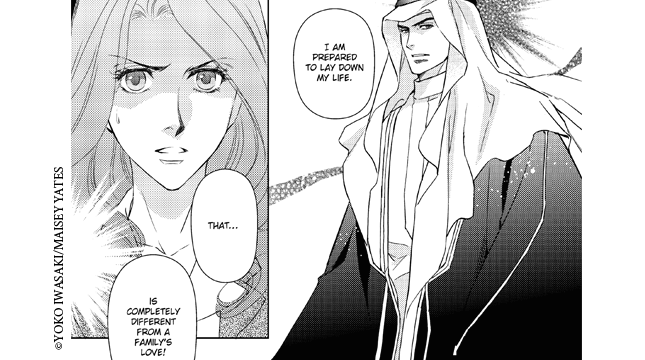 Will Kozue work up the courage to rescue him again? Read on and find out! 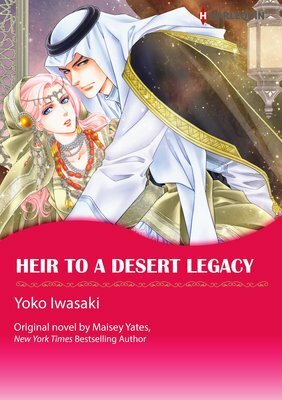 Princess Evangelina is a young girl who just wants to be loved for who she truly is, but fate has different plans for her- she's supposed to marry a man she doesn't even know, for the sake of her country. She keeps rebelling, but eventually has to accept her father's plans... granted last six months of freedom, she is put under the care of a handsome bodyguard, Makhail. She's felt her heart flutter in his presence even before, so what will happen now that the circumstances brought them closer? This manga is actually quite surprising, and although it does feature some well-known tropes, the characters are refreshingly mature. The conflicts in the story don't feel forced, and the plot moves at a good pace and keeps you interested until the end. Makhail's past plays a very important part, and the way Eva reacts to it is quite touching. 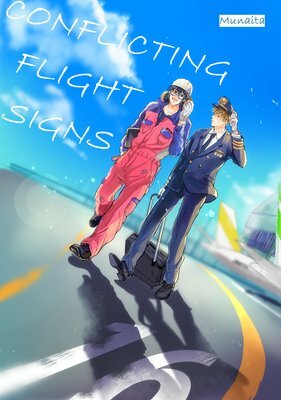 They're a couple you want to root for and the beautiful art is definitely a huge plus! Don't miss out on this title! High school can be a tough time for everyone, and for Aki Maihara, that's no different. After her crush ends up dating one of her classmates, she comes to a sudden realization: if she doesn't speak up and share her feelings for the guy she likes right away, she might end up regretting it for the rest of her life. However, after six months and ten failed confessions to ten different guys, her new shotgun approach to love doesn't really seem to be working... until one day. 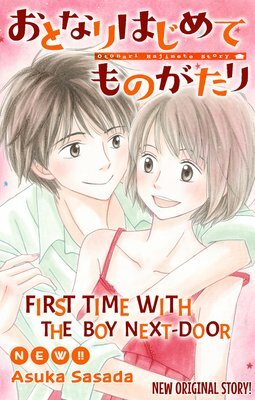 Aki bumps into a handsome boy on the street, and knowing she might not ever see him again, she takes the plunge and asks him out without even knowing his name. And, to her surprise, he says yes! Is this a joke!? He seems to be serious about it because they even exchange numbers and everything! In order to get to know her new boyfriend Haruto better, she goes to meet him at his school, and finds out that he's a charming and sweet person. But, before she knows it, he steals her first kiss and invites her up into his room! When they get to his house, why is he suddenly in such a bad mood and acting so aggressively? It seems Haruto has a secret of his own that he can't even share with his girlfriend he's known for ten whole minutes! I really enjoy the dynamic between the naive yet optimistic Aki and the quiet but charming Haruto. Despite their interesting circumstances, they both seem to make the best of each other's company, and want nothing but the happiest possible outcome. The full-color artwork is really gorgeous too and the characters really pop out! 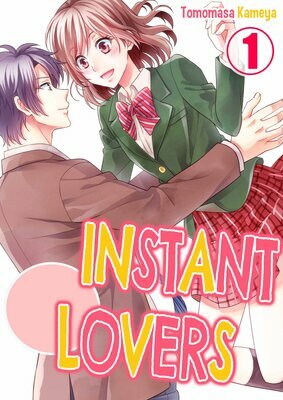 Within seconds of reading this story, I think you'll be able to instantly declare your love for Instant Lovers as well! This anthology features four stories about women with vastly different vices. 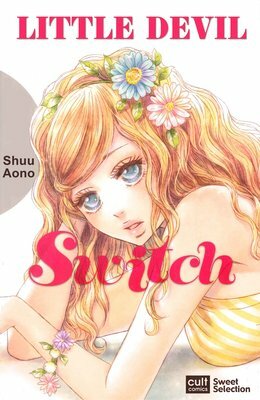 The first story, The Touchy Businesswoman, is my favorite and is about the 26-year-old office worker, Hana Sumoto. Hana's been with the company for four years and has seen her share of female colleagues leave the company with their golden marriage ticket. She denies wanting to find her own husband-material so she can leave the company, but secretly wishes for it. Despite countless weekends going to speed dating events, she's had zero luck. Her only pleasure in life is riding the morning commuter train with the handsome, young businessman who always sits in the same seat. On one fateful day, she rides the usual train and expects to see him in his seat. However, there's an old man sitting there. Wondering where he went, she looks to her side and sees him standing really close to her! Her heart starts beating faster. Thinking this is her only chance, she tests the water by brushing her hand against his. But, he doesn't respond as she'd hoped! Just when she's on the verge of giving up on her love life, she runs into him on a blind date! Will he return his feelings for her? If you're in the mood to indulge your vices, I highly recommend Little Devil Switch! You might also like the last story, Depraved Wife. When Chloe became a surrogate mother for her long-lost half-sister's baby, a terrible accident wrenched her newfound family away from her. On top of that, a handsome stranger appeared and tried to claim her child as the next ruler of his kingdom. Chloe was faced with a tough choice- abandon her child or give up her life as she knew it and succumb to Sayid's will... but it might be that both of them got more than they bargained for. Those two stubborn individuals will not make it easy on each other and watching their push-and-pull relationship is very satisfying! If you love sheikh stories, you have to check this one out. 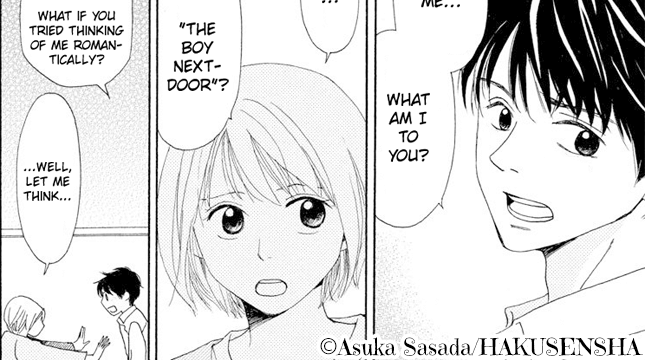 Chisato and Riku have been childhood friends since Chisato's family moved next door in elementary school. The two grew up together and remained good friends all the way through high school, so their parents suggested that when they move out for college, they find apartments next door to each other as well. That way, even though they would be living alone, they could keep each other safe. Riku often comes over to play video games and chat over a meal, and their relationship has always been strictly platonic. However, now that they're both maturing into adults, Riku wants to transition into becoming something more. But, throughout their entire childhood together, Riku never even gave a single hint that he was interested! Where did this sudden declaration come from!? And, why is Riku so touchy all of a sudden!? Chisato just wants things to be the same and hang out with her friend, but now that Riku's made things awkward, she might never be able to talk to him again! This manga has a cute art style and the characters are also well-written. Chisato isn't a generic, cookie-cutter female stereotype, and her tomboyish nature is really refreshing. She has a nice sense of humor and you can really tell that she is comfortable and happy to be around Riku. Riku is a bit forward, but knows when to back off and isn't too pushy. He acts like a true friend and it's clear that he only wants the best for him and Chisato. Will the two of them end up together, or will college mark the end of their long friendship?